Yasser Arafat may have been poisoned with polonium-210. Swiss forensic report. Home Breaking News Yasser Arafat may have been poisoned with polonium-210. Swiss forensic report. According to a Swiss forensic report obtained by al-Jazeera, Palestinian leader Yasser Arafat may have been poisoned with radioactive polonium. Yasser Arafat’s official medical records say he died in 2004 from a stroke resulting from a blood disorder. However, Yasser Arafat’s body was exhumed last year amid continuing claims he was murdered. 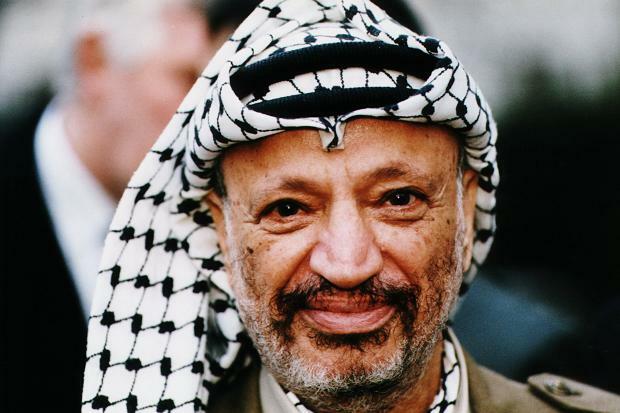 Many Palestinians and others have long believed that Israel poisoned Arafat. Others allege that he had Aids or cancer. Israel has consistently denied any involvement. A spokesman for the Israeli foreign ministry said the Swiss investigation was “more soap opera than science”. The scientists – from the Vaudois University Hospital Centre (CHUV) in Lausanne, Switzerland – carried out a detailed examination of Yasser Arafat’s medical records, samples taken from his remains and items he had taken into the hospital in Paris where he died in 2004. They concluded that their results “moderately support the proposition that the death was the consequence of poisoning with polonium-210”. The scientists stressed that they had been unable to reach a more definitive conclusion because of the time that had lapsed since Yasser Arafat’s death, the limited samples available and the confused “chain of custody” of some of the specimens. Polonium-210 is a highly radioactive substance. It is found naturally in low doses in food and in the body, but can be fatal if ingested in high doses. Parallel investigations are being carried out by French and Russian experts – one Russian official said last month that no traces of polonium had been found. Speaking in Paris, Yasser Arafat’s widow, Suha, said the Swiss results revealed “a real crime, a political assassination”. Reuters said Yasser Arafat’s widow did not name any suspects and acknowledged that her husband had had many enemies in his lifetime. Yasser Arafat, who led the Palestine Liberation Organization for 35 years and became the first president of the Palestinian Authority in 1996, fell violently ill in October 2004 at his compound. Two weeks later Yasser Arafat was flown to a French military hospital in Paris, where he died on November 11, 2004, aged 75. France began a murder inquiry in August 2012 after the Lausanne scientists, working with an al-Jazeera documentary crew, found traces of polonium-210 on Yasser Arafat’s personal effects. His widow had objected to a post-mortem at the time of his death, but asked the Palestinian Authority to permit the exhumation “to reveal the truth”. Yasser Arafat’s remains were removed from his tomb in the West Bank city of Ramallah in November 2012 and reinterred the same day. Last month, the head of the Russian Federal Medico-Biological Agency, Vladimir Uiba, was quoted by the Interfax news agency as saying that Yasser Arafat “could not have been poisoned with polonium”, saying that test carried out by Russian experts “found no traces of this substance”. However, the agency later denied that Vladimir Uiba had made any official statement on the findings. The head of the Palestinian investigation team, Tawfiq Tirawi, confirmed on Tuesday that the Russian and Swiss reports had been delivered. The Palestinian team is reported to have handed over its findings on Saturday.